Want to bring a large group to Lakeland Escape Room? No worries! Book your corporate event, team building, birthday party, or meeting with us and have a little space to yourselves! We’re here to tailor your experience to your needs. Exclusive access to one room or the entire facility, including a conference room, is available. We are within walking distance of many great local eats and fabulous restaurants that will offer catering options if desired. Call today or contact us online for more information! 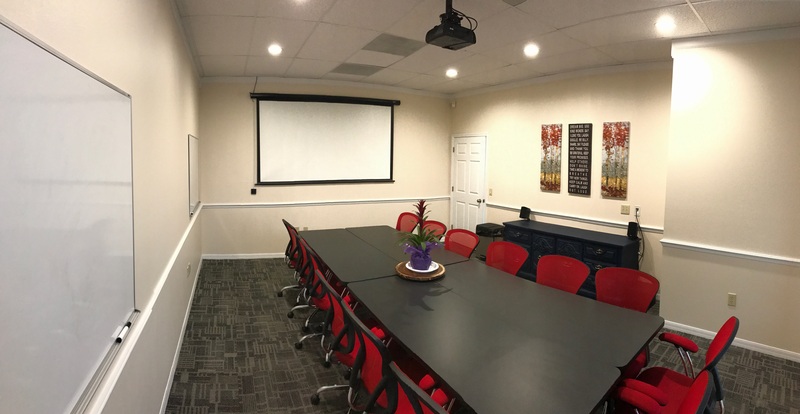 Looking for a conference room for your party or group? 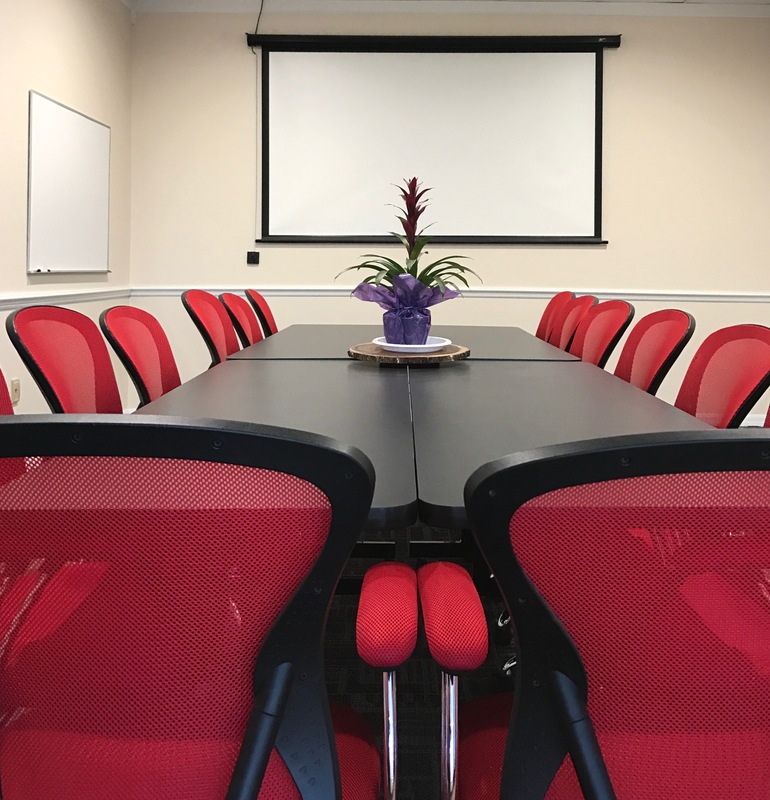 We can arrange the room in different ways to accommodate more chairs than what is shown and provide assistance from our trained staff! Call us at 863-450-3232 to plan your Lakeland Escape Room event!